We’re starting off the New Year with something from the old year. I bought the TreadTracker a year ago, and I’m finally getting around to posting about it. Fear not, what’s old is new again. And, for many of you mid-winter, what’s old is still very relevant (since there’s nothing else like it). 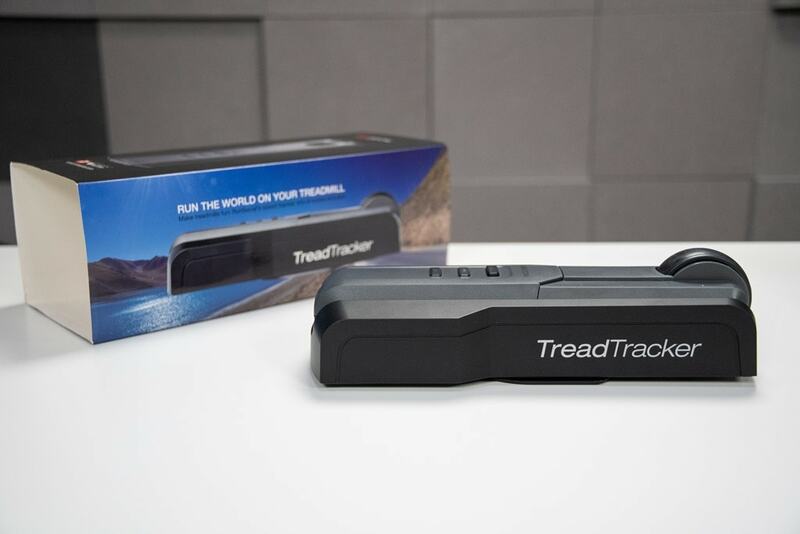 The TreadTracker is essentially a Bluetooth Smart footpod that doesn’t require a foot. 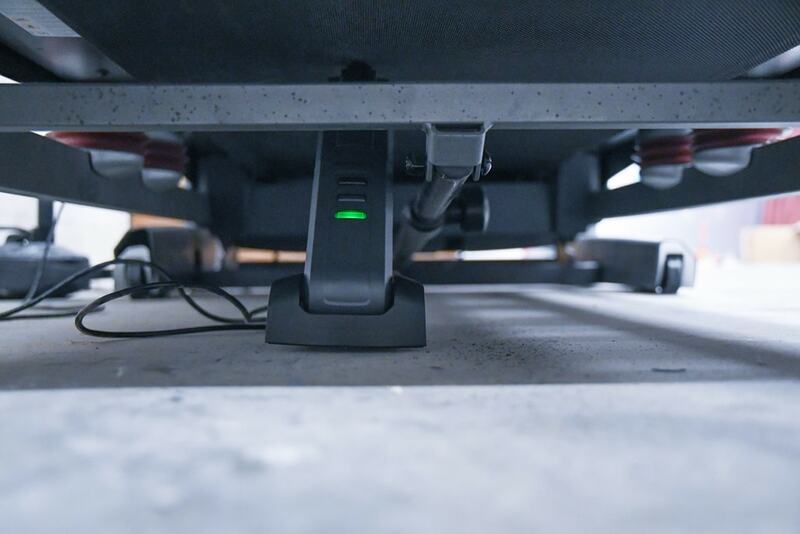 Instead, it sits below your treadmill and has a smaller roller wheel that tracks your treadmill’s pace and transmits it as a Bluetooth Smart footpod sensor that any app (like Zwift) can pick up and utilize. The main reason to use something like this is that it’s ‘set it and forget it’, or if you have multiple people using a treadmill. 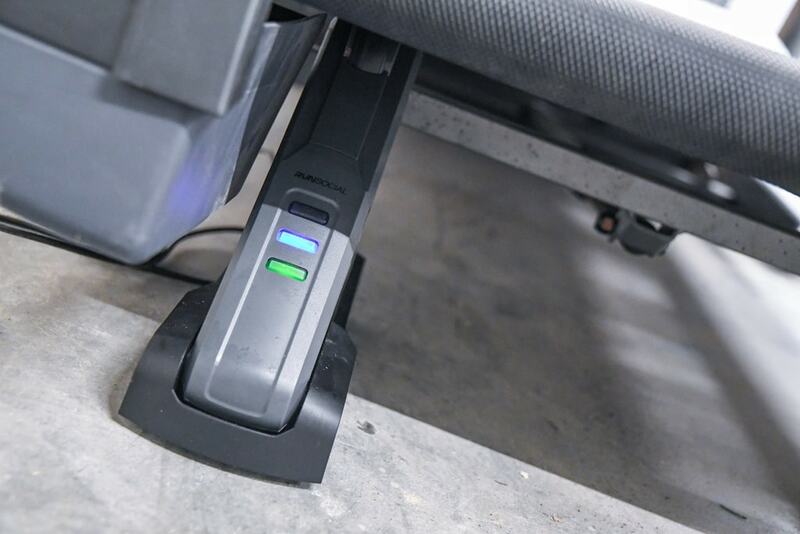 Whereas a footpod is certainly more portable (such as while travelling), but some may require calibration and frequent charging. Plus there’s the question of accuracy. But fear not, we’ll get to that. Oh will we ever! I’ve spent probably 8+ hours today alone on looking into accuracy, and in particular, accuracy of my treadmill and other methods to validate that. It’s now 1:30AM though, and I’ve satisfied the itch that I stumbled upon this morning. So come along on that journey. Else, onwards with the photos and text and plenty of data! Inside, you’ve got the unit protected by some plastic. Take it out and you’ve got the unit, some paper stuffs, and a mini-USB cable for power/charging. Oddly however, you don’t have a USB to power outlet adapter. Given this is something that’s somewhat designed to be plugged in permanently, it seems like a quirky oversight. No worries, I have plenty. 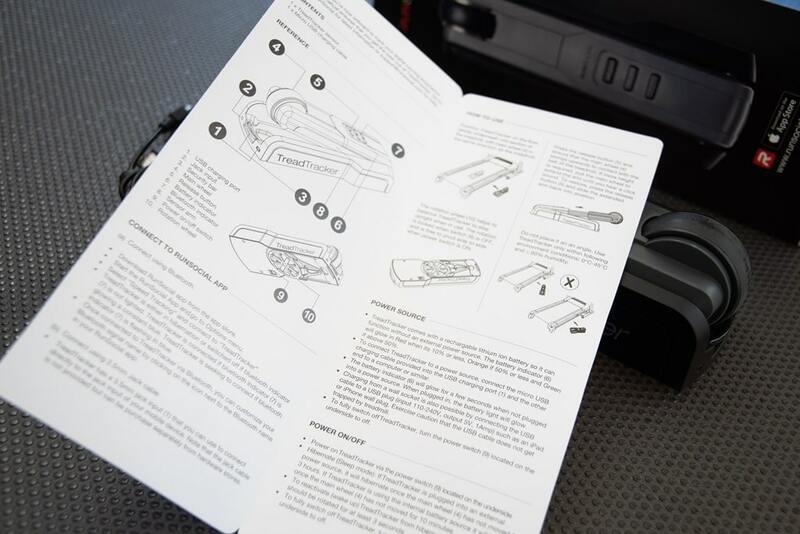 Here’s the manual. It’s pretty straightforward, we’ll talk more about how to use it in a second. And that’s all there is in the box. Not much more to say here. Let’s get into using it. This device is silly simple to use, so I’m going to try and keep this efficient. I’ll still probably fail at doing so. 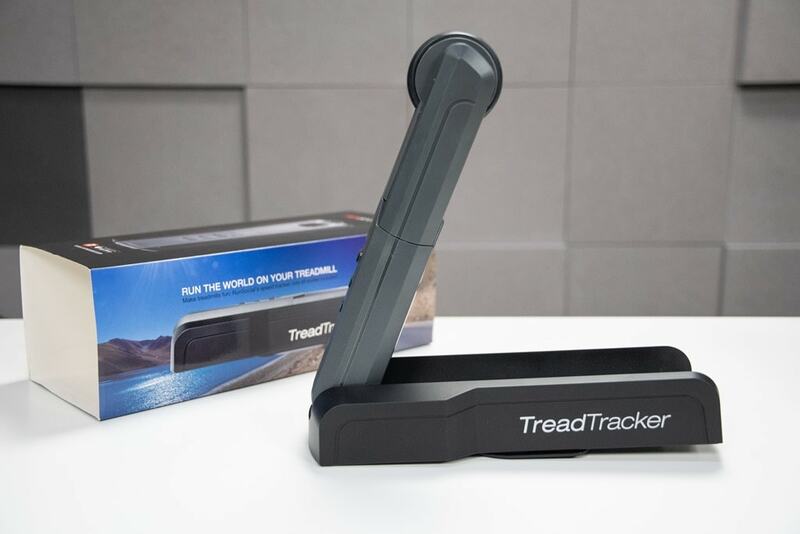 The TreadTracker is designed to be placed below your treadmill such that it snuggles up against the belt, measuring the speed of the belt using the small roller wheel at the top of the TreadTracker. The unit should be charged with a 1AMP USB plug (most plugs will be close enough to cover this, or slow charge it at worst). However, there’s also a small plate that extends out and allows the unit to rotate slightly and pivot. This is actually kinda cool and is notable in case there’s any unevenness. However, online in their FAQ section it says it doesn’t matter, as long as it makes contact with the belt. I tried both positions and tested accuracy for both and found no difference. So for me, I prefer the back because then I can easily see/check the status lights if need be. 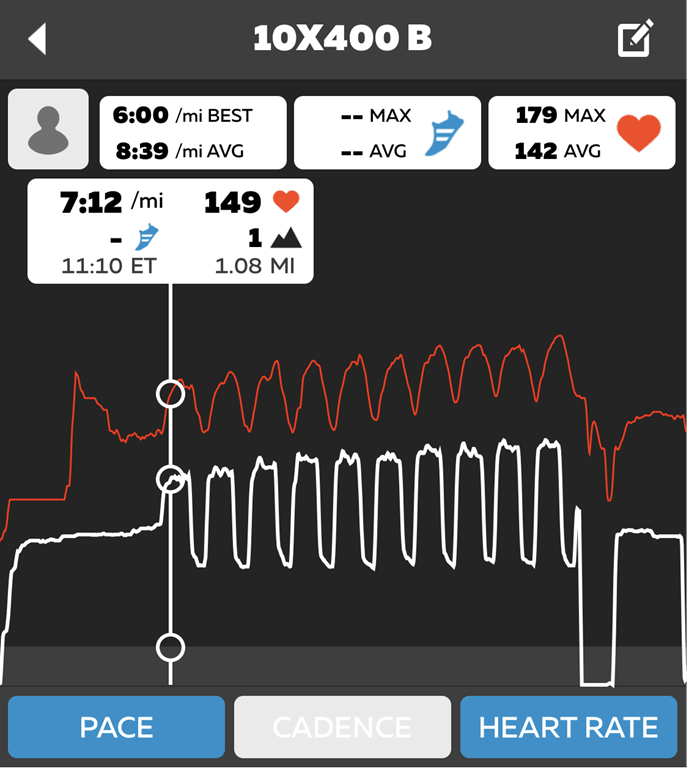 Note that Zwift will automatically pair to the cadence channel from the TreadTracker, but in reality the TreadTracker doesn’t transmit cadence (it’s just part of the BLE footpod spec, so TreadTracker conforms to it). Thus, if you have some other thing that’ll transmit running cadence, you’ll want to select that for cadence. 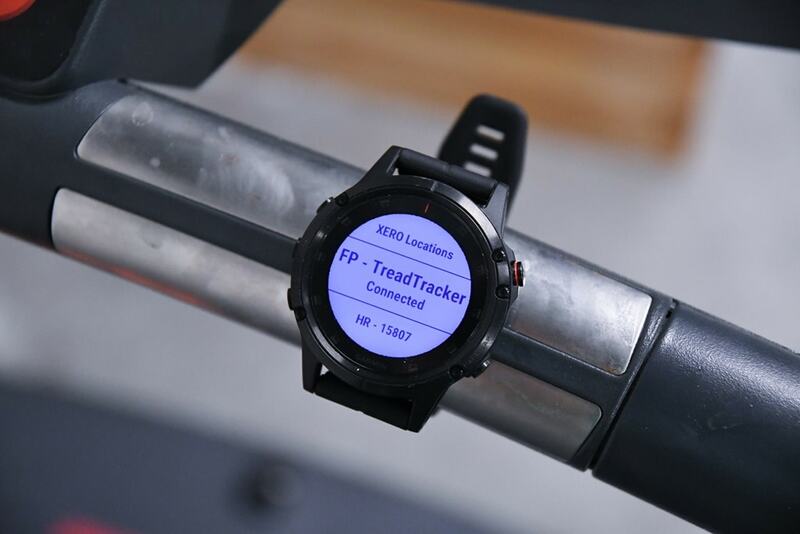 Your pace will be displayed automatically in the app, based on the speed of the belt of your treadmill. In an ideal world, that’d match the actual speed on the treadmill, but that’s an entirely different ball of wax that I’ll cover in the next section. Sure, I could have worn the watch and got a rough approximation, but that doesn’t often handle things like dorking with treadmill speed or drinking from a bottle (or wiping sweat) very well. While I haven’t tested it with other devices/apps, it should also work with both Polar and Suunto watches as well. In any case, the key message here is that it ‘just works’. There’s almost nothing to do except run on your treadmill and have it transmit pace and thus distance. Again, no cadence however. It’s funny, accuracy testing this device should be easy. But in reality, it’s anything but. There’s a surprising number of ways things can differ, and more importantly – a hilarious number of ways it can go horribly wrong. I’ve taken the assumption that my treadmill may not be accurate. That’s usually a good assumption to make. If you’ve done any amount of treadmill running at gyms and hotels you likely know how different they can be. Even two identical treadmills side by side in a gym are somehow significantly different in pace (and thus distance). My treadmill is about 3-4 years old, though it doesn’t actually have a ton of mileage on it. Almost all of my running is outdoors, and so my guess is that this treadmill only has about 80 miles on it. Not much (which usually drives the accuracy side of the equation). Before doing these tests, I calibrated the treadmill per the manufacturer’s instructions. 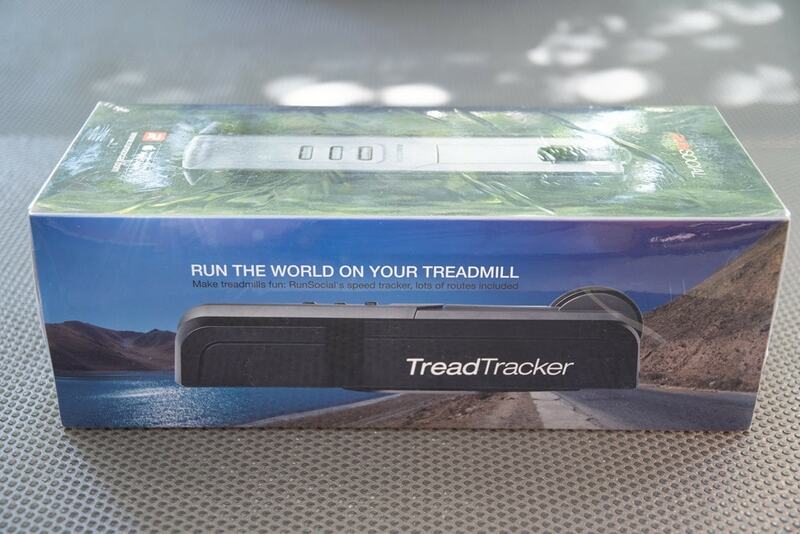 So, I set about trying to validate it, and thus by extension the TreadTracker. Do to that I’ve got three validation sources. I’m not necessarily claiming that any of these devices is a known ‘good’, but, it’s just four devices to work from. Invariably someone will say ‘Get a Jones Counter bike!’, and sure, that’d be nice. But that also presents the slight challenge of putting it on a treadmill. I could also leverage other magnet-based sensors as well to measure and place that bike on the treadmill somehow. But I think I’ve got enough sources. Ironically, the subject I hated the most in school. And no, I still haven’t had any use for calculus in my life yet. In order to math this out I had to do some measuring on my treadmill and paint out some lines. I started off with a ‘0’ (zero) marker and then painted a line every 1 meter. I had no idea how long the belt would be, but turns out my arts and crafts project was short-lived. The belt was exactly three meters long. So I had a ‘0’, ‘1’, and ‘2’ lines. I then put another line on the other side of the treadmill at the ‘0’ marker so I could easily see it and count it. Now, there was a slight problem there. 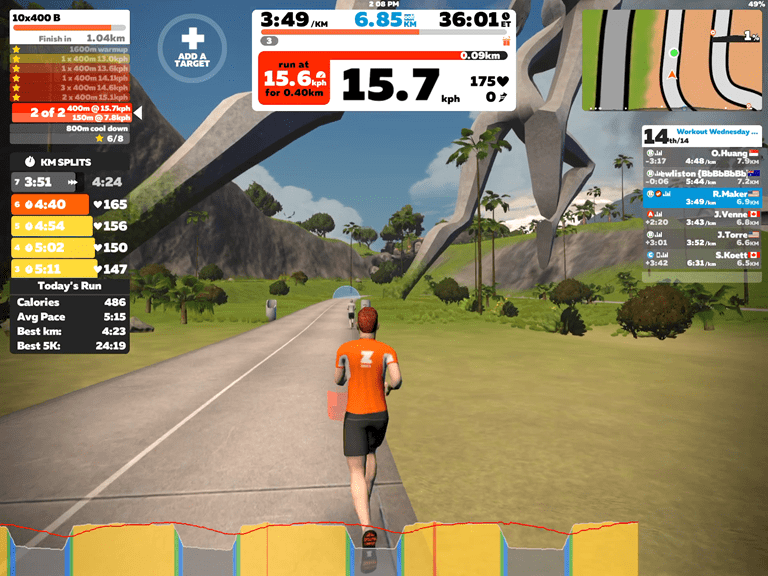 Zwift only shows me the distance in increments of 1/10th of a kilometer. For example. .11 kilometers, .12 kilometers, etc… Meaning a gap 10 meters. Too high for what I wanted. Now before that, I had done some 1KM in length tests. Except at this point it’d take a lot of waiting and likely screwed up counting to get the marks counted. So instead I went with just these three sources. Here’s round #1 where I slowed to a crawl and then stopped the treadmill at precisely the moment Zwift showed 1.00KM. So why the slight variance between using a Garmin and Zwift? I suspect it has to do with either dumb luck, or some aspect of how precisely Zwift counts, especially when the unit first starts and stops. Keep in mind we’re talking distance here that are relatively small (1KM tests). And here’s how that looks if I plot distance over time. 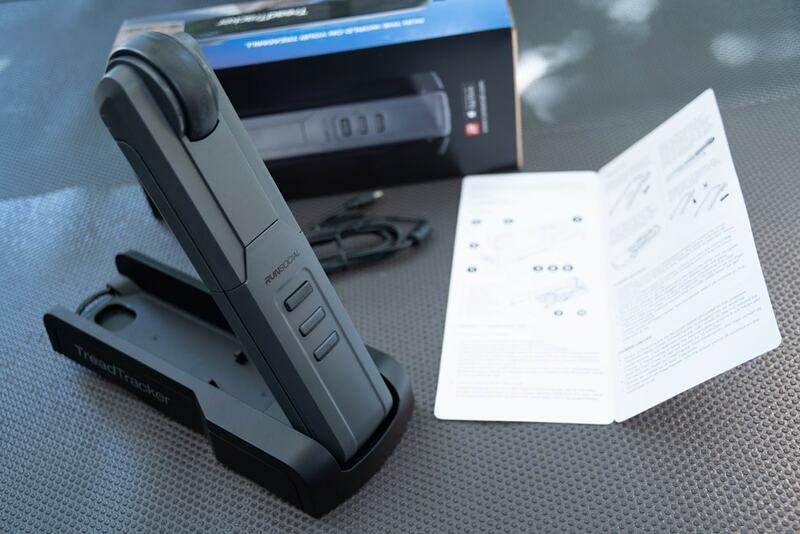 I’m looking forward to trying this with the rebranded $29 Zwift (Milestone) Running Pod when I grab it next week. I have an earlier Milestone pod I’ve long used, but I figured I’ll test out the newly rebranded version. I’ve got one I ordered that should show up next week. Side note: No, I don’t plan on making a habit of reviewing treadmills (and this would not be a review of my treadmill, though I’ve noted many times I dislike it). I might do others if there’s some unique to market treadmill that shows great interest from readers. But for the most part, I don’t terribly enjoy running on treadmills, so it’s gotta be something that’s totally different and thus appealing in some new way. Another note: All of the charts in these accuracy portions were created using the DCR Analyzer tool. It allows you to compare power meters/trainers, heart rate, cadence, speed/pace, GPS tracks and plenty more. You can use it as well for your own gadget comparisons, more details here. In some ways the best question about this is actually more like who’s it for? For many people, it might be easier to just pick up a footpod and have it always on their shoe. That way if they’re out traveling the world, it’ll give them mostly accurate pace/distance no matter what treadmill they’re on. Certainly a coin-sized footpod is easier to travel with than this nearly shoe sized device. But footpods aren’t quite as stable as some people think they are. They’re often prone to slight tweaks in pace based on shifts in cadence or even running style/efficiency. Sure, those like Stryd are quite good – but they’re not perfect. Same goes for the Milestone/Zwift pod. Of course, Stryd is $199, and the Zwift pod a mere $29. Obviously Stryd’s pod does power and other things, but most people don’t care about that. 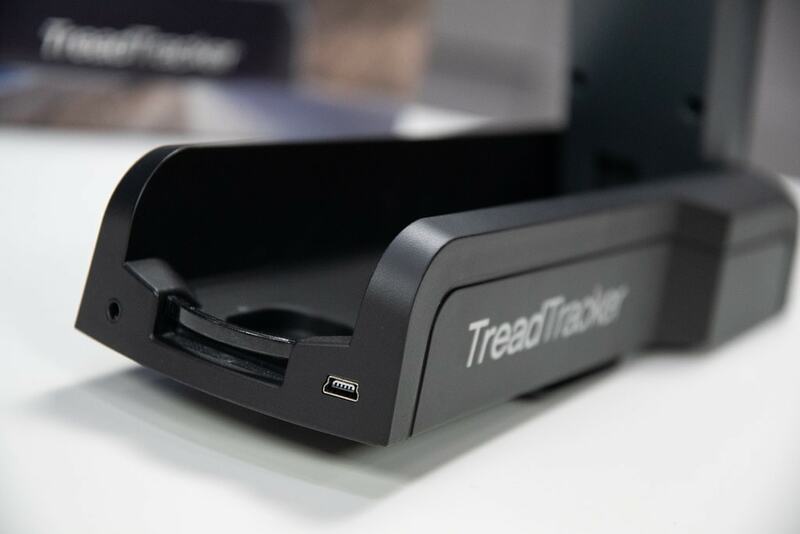 The appeal of the TreadTracker is that it’s set it and forget it, especially for those with more than one person using it. For example, The Girl and I using the treadmill. 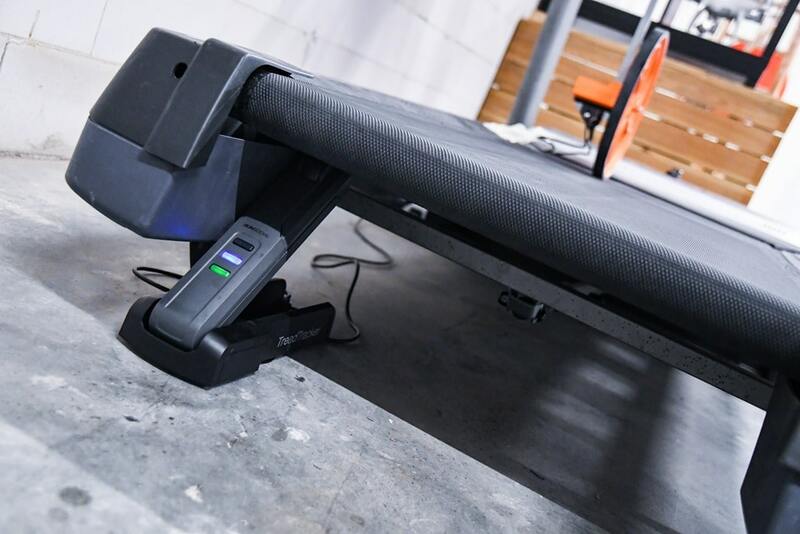 In this case it just sits there below the treadmill and available for use for whoever jumps on – zero calibration needed. Heck, the name even looks like it’s the treadmill. Will it make sense for everyone? No, of course not. But I actually like the idea. I’m very much a ‘set it and forget it’ kind of person. I want to jump on and not worry about whether or not my footpod is properly calibrated (or charged). It has a high ‘just works’ factor. I'm already looking forward to finding one of these waiting for me under a gym treadmill. Wait, I meant under a Christmas tree. Yeah, Christmas tree. I'm looking forward to your test of the Zwift RunPod since I've not been able to get mine to work. Part of it may be that I'm not really running. I mostly walk in the 3-5 mph range as a cool down after I ride. The RunPod just doesn't want to calibrate at these lower speeds and even if I manage to get it to calibrate at higher speeds it's wildly out of wack with my Landice treadmill and will not show any movement in Zwift until I pick up the pace. By contrast, all works just fine with my Wahoo TICKR X. Speeds are much closer and Zwift actually shows some movement even when I'm not moving. That's not right either but it is better than the alternative. Stryd doesn’t “bounce around” in terms of pace, as your own testing above shows. In fact the take-away from this article seems to be how accurate Stryd is. 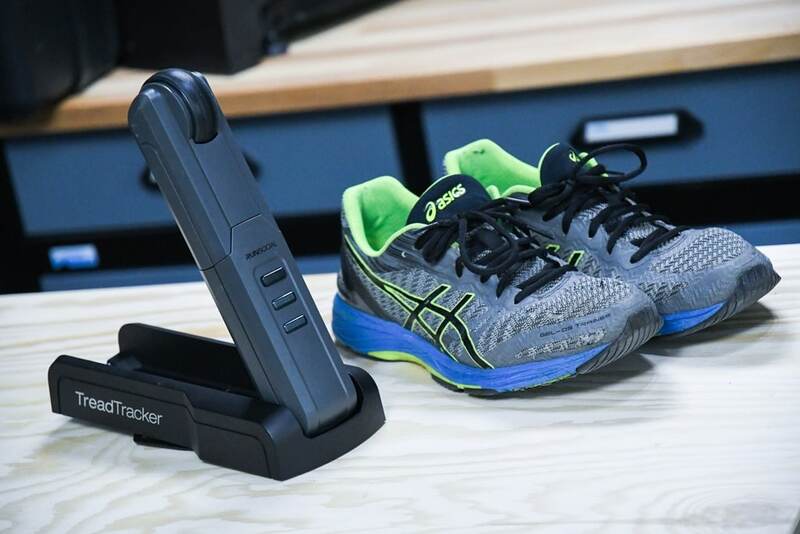 I'm saying similar above - why buy stryd for power, when you can buy runscribe for dual sided power and dual sided gait metrics? I honestly don't understand stryd's thinking and they risk being made redundant at that price. I’m referring to the larger population of runners, which overwhelmingly don’t care about running power. I’ve argued repeatedly that Stryd is essentially slow-blowing any advantage they have adoption wise by keeping prices so high. It’s only a matter of time before everyone follows Polar and running power becomes commodity. I run on one of those fancy Woodway treadmills. 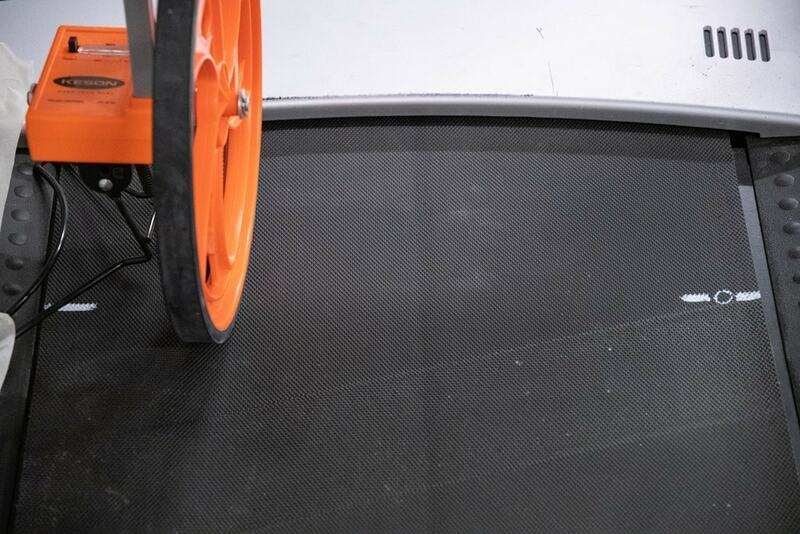 Any idea how the TreadTracker works on Woodways or other treadmills that use slats instead of a smooth belt as a running surface? 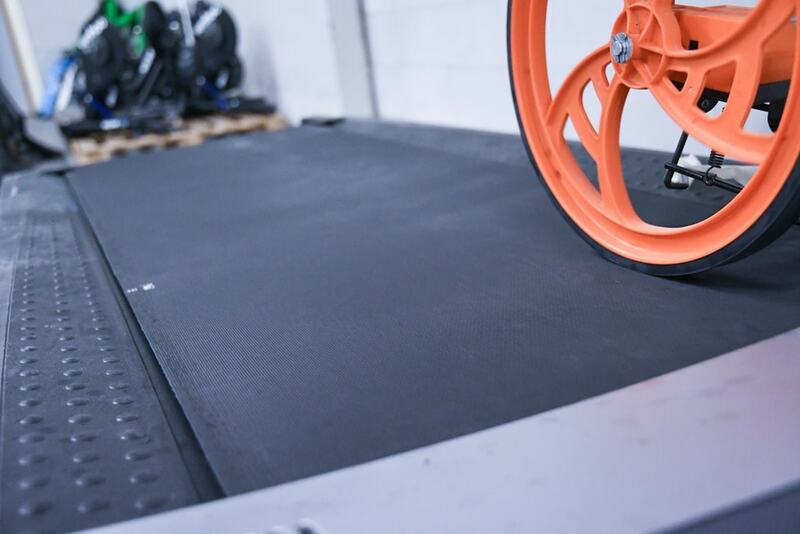 Many thanks for an interesting article - I use a footpod with Zwift on a number of treadmills at a couple of gyms and have been interested in trying to get a more accurate speed/distance as I can see the limitations of both pod and treadmill. I seem to have come to a separate conclusion to the article based on the same results you have provided and want to, please, check I have understood them correctly? - In most of the results it appears the math distance and the Orange counter are near identical (this does not surprise me given those type of Orange counters are usually calibrated at the factory and the tyre on the wheel probably hasn't worn down much since then). Given that, I'll take either of those two measurements are "base" case. - If I then take the variation of the TreadTracker from that "base", it is not that much better than your treadmill. The Tread Tracker on the 1000m tests was around 25m less than "base" and the Treadmill around 30m more than "base". Other distances seems to show similar % variations with the Tread tracker 2.5% lower and the treadmill 3% higher. - You describe your treadmill as not very good. Given the TreadTracker is only about as accurate (okay maybe 0.5% better) than a not very good treadmill, why would I spend $200 on it? I may as well take speed/distance of the treadmill given its roughly the same level of inaccuracy? At $200 I would have expected the TreadTracker to have been at least as accurate in distance terms as the Orange Counter, unless I have misunderstood the results? Given that it deviates away suggests it either (i) doesn't maintain as a good contact/tracking of the belt as the orange counter Or (ii) isn't properly calibrated Or (iii) has a software issue reporting the right distance to the recording devices. One other thought on the accuracy of the TreadTracker...given its fairly small wheel, any deviation from being exactly 100% parallel with the belt would give an inaccurate result? ...and notably it would be less than true distance recorded. Another potential source of speed/distance measurement is to strap your bike (or just a front fork) to it with a regular ANT+ speed sensor! As long as you measure the wheel's circumference accurately you should get good figures. No worries David. I confirm the methodology workes well. Allowed me to use the lower priced Footpod with an accurate calibration factor for treadmill walking/Jogging. It is my experience that these units have very limited capacity to cope with changing Gaits at slow paces. This is easily observed by viewing real time Footpod pace with different gaits and constant treadmill speed. This is what first alerted me to the issue. My apologies to David Warren - he was clearly ahead of me with the magnet thought and took it much further. 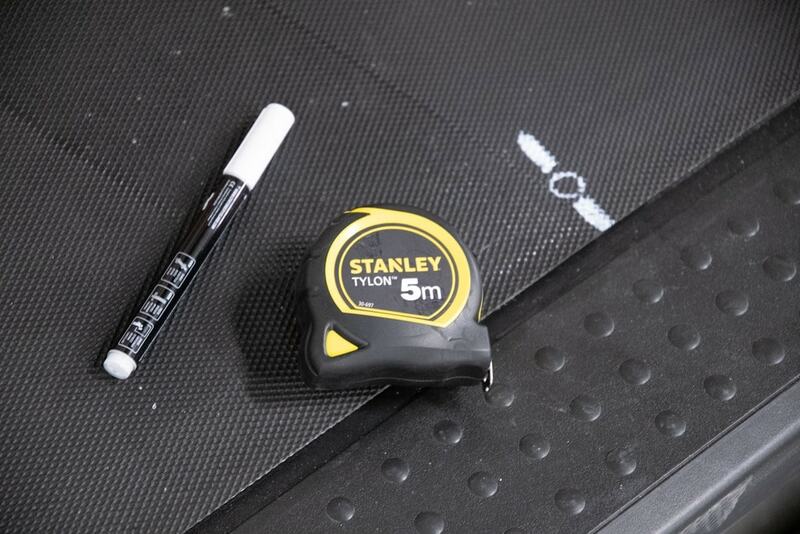 But I'd think that adding an optical or magnetic pickup on the mat would be more accurate and subject to a lower failure rate than a mechanical contact wheel. That makes sense. Taking a measurement anywhere other than the belt will add some error. 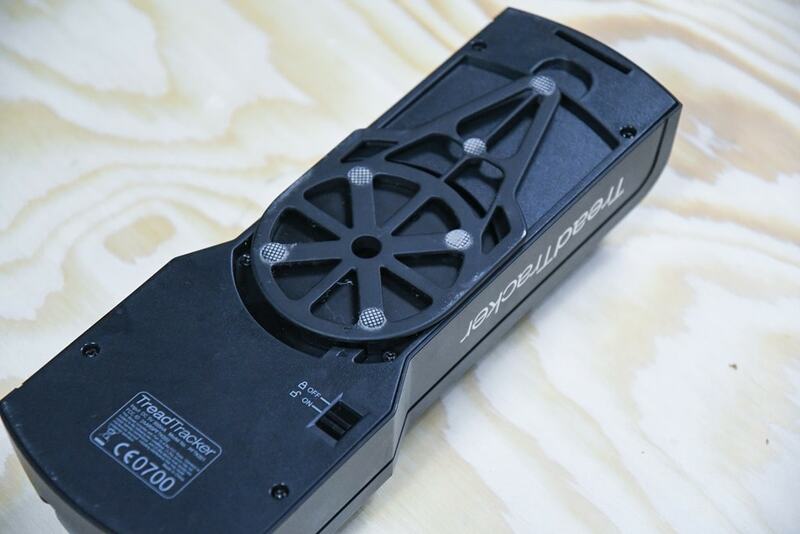 My guess would be that a properly placed belt magnet might be a better 'known good', whereas a treadmill may be placing a magnet/sensor on another upstream piece (such as a motor that has a smaller circumference) that could be out of alignment (or definitely is, as seen here). How is this any better than the optical/magnetic sensor that is built in to the treadmill? Or how about fixing a magnet to the belt and using an old fashioned magnet activate speed sensor? I bought a treadtracker last year, it lasted a couple of time before not charging. I had a chat with customer service and they sent me a brand new one without asking the old one back. I received the second one, used it twice and then the same thing, the unit was not charging. I contacted them again and they reinbused me since they didn't have any to send me back at the moment. The customer service is incredible ! The product ... well I'm a bit dissapointed. While I was using it I found it perfect ! Speed was spot on. Only drawback is that since it's bluetooth, I can't send the data to my garmin 935 and my computer with Zwift, I have to choose. Someone had the same problems or am I the only one ? 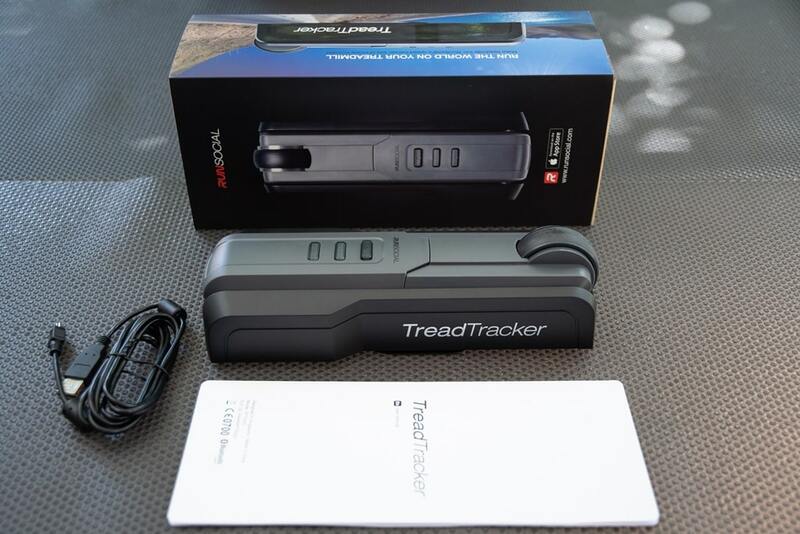 Did I understand correctly that it is not possible to pair the TreadTracker in parallel with the Garmin 935 and Zwift? Basically, it would be possible with Bluetooth. I use a milestone pod and am wondering how the zwift run calibration interacts with the pod calibration? i.e. there's a milestone app that calibrates the pod. 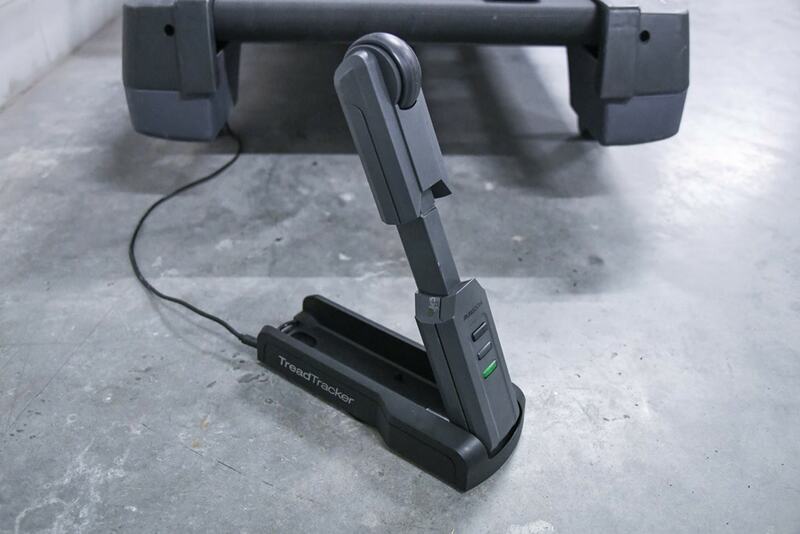 If you then do the zwift calibration, which one is being used? I have comfirmed with milestone that their calibration from their App is loaded onto Pod. To reset pod without calibratation take out Battery and reinsert. Do not sync with their app. I have also confirmed with Wahoo that their calibration factor only works within their app. I do not know for zwift as I do not use that App. 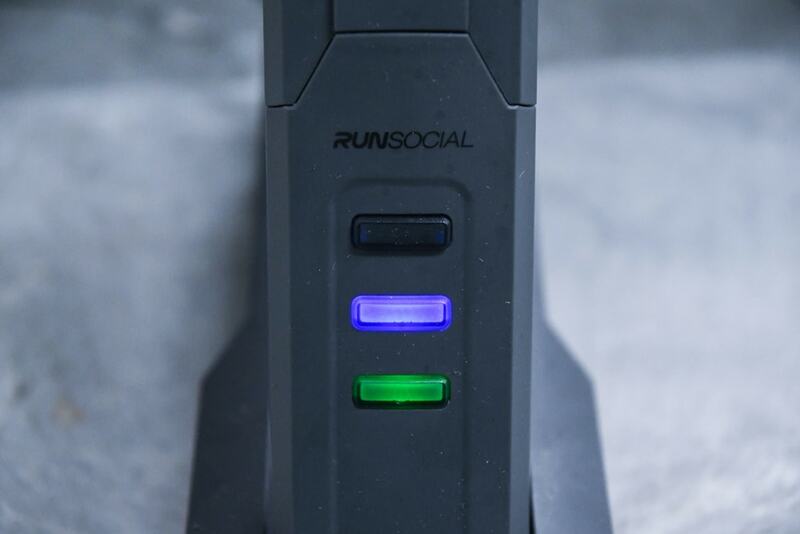 If anyone knows where I can purchase one of these (out of stock at run social), please let me know. Do you have copyright on your articles?